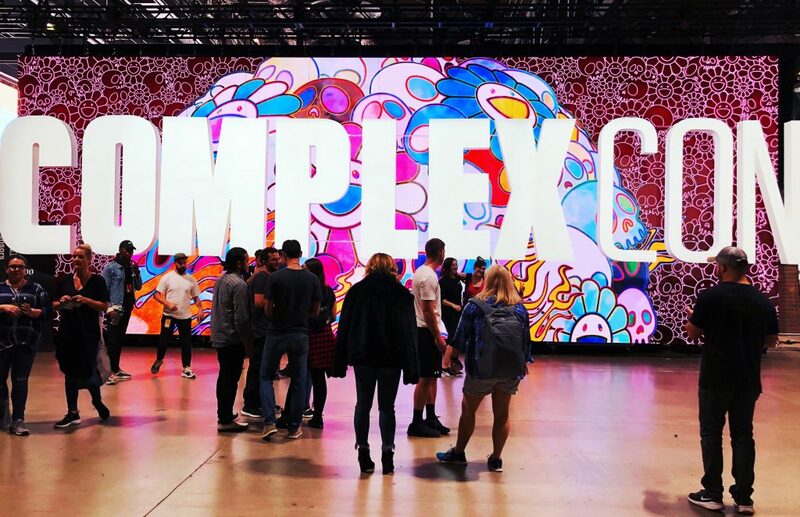 COMPLEX CON | Gravillis Inc. 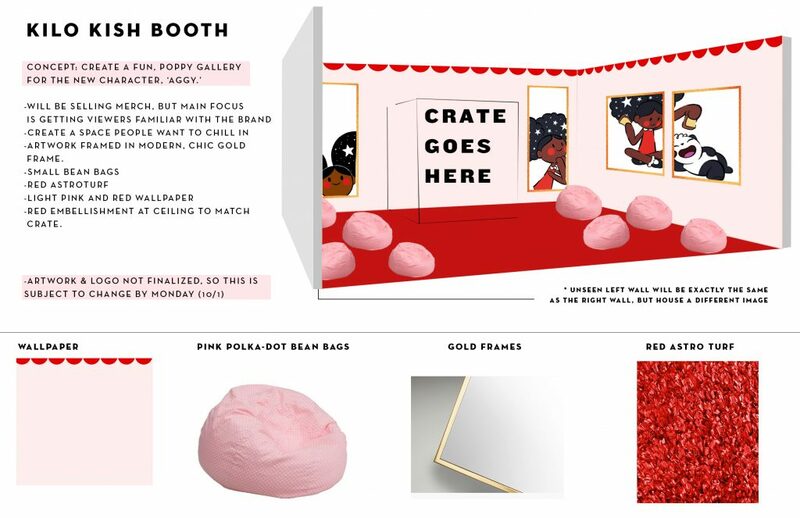 This year for ComplexCon 2018, we worked with artists Vince Staples and Kilo Kish to create exhibition booths for both of their individual brands. 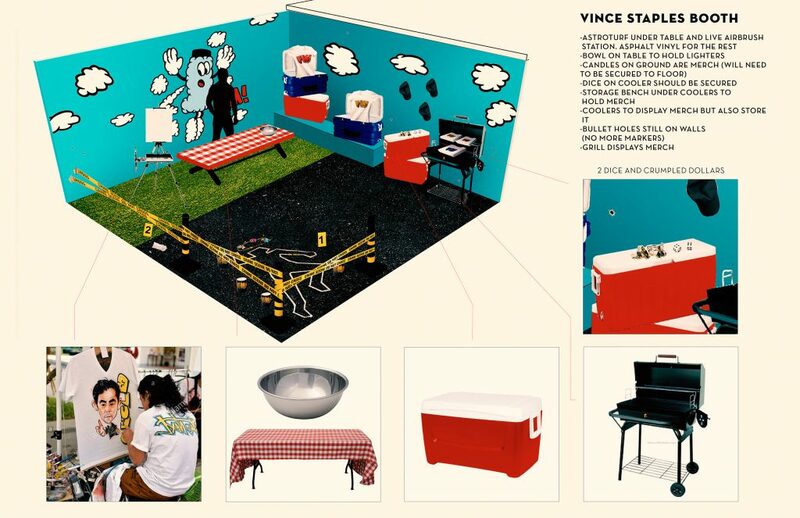 Inspired by sunny Long Beach and crime scenes, Vince wanted a summery yet dark approach to promote his new album, FM!. 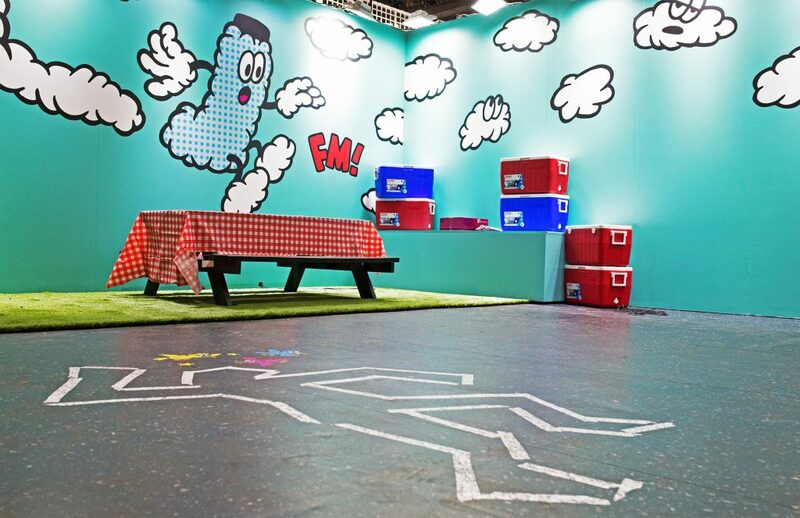 Incorporating Verdy’s album cover illustrations, barbeque furniture, crime scene paraphernalia, vibrant blue walls, and green AstroTurf we were able to bring the FM! booth to life. 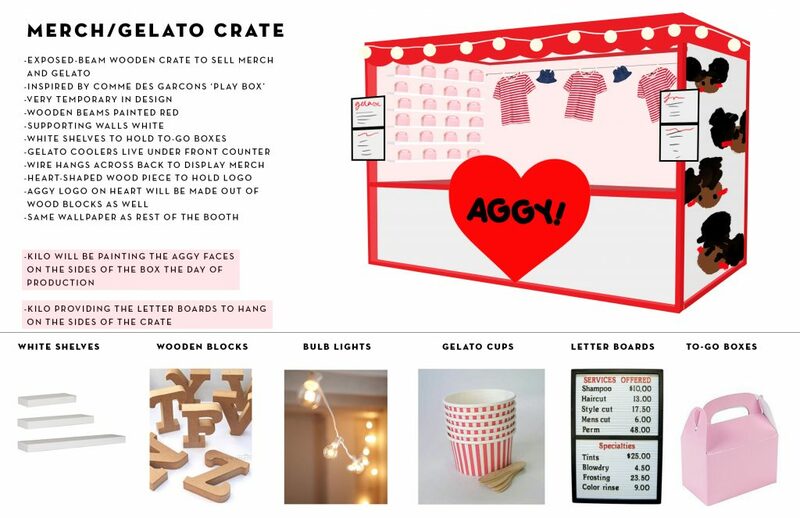 Kish’s booth focused on the familiarization and extension of her up-and-coming fictional character-driven brand, “Aggy”. 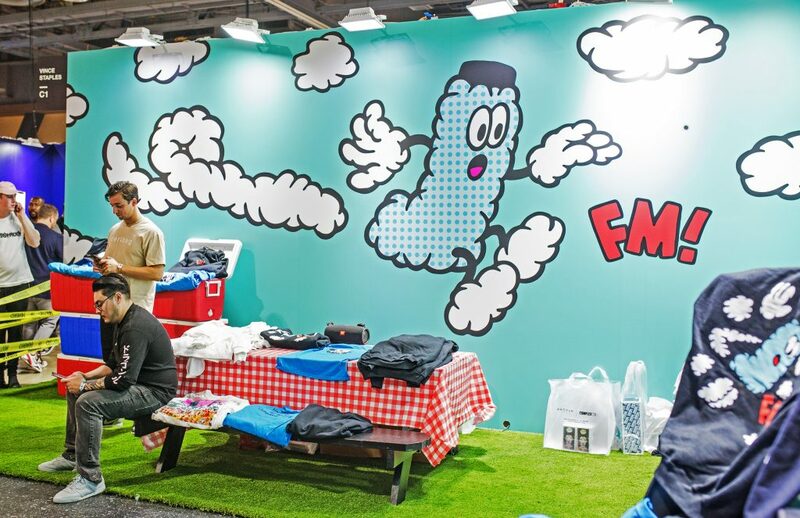 Designed complete with a lounge area, punchy merch kiosk, red AstroTurf and framed prints of Aggy herself, the booth had everything and more to immerse convention-goers in the world of Kish’s new brand.